Nap foam is used to transport sensitive objects. Due to its wave shape, it is ideal for transporting sensitive products. Due to its wave shape it adapts to the transported inventory, holds them in position and has a damping effect in the event of falls. 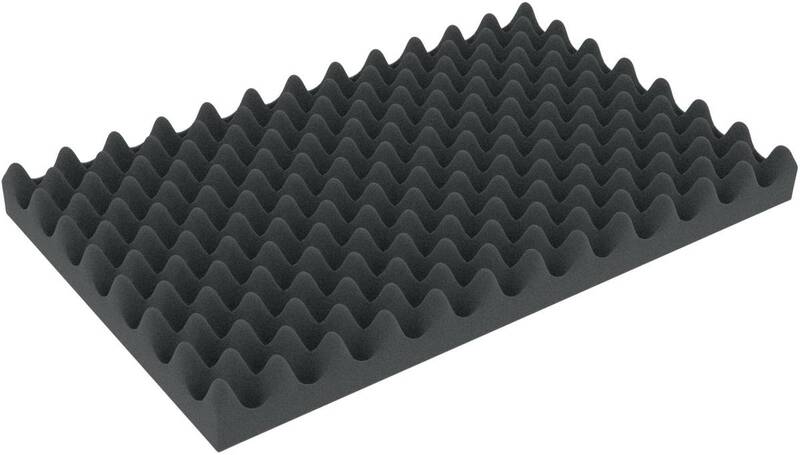 We suggest to use the knobbed foam as protection in cover of transport boxes, as this prevents your products from hitting the top of the box and being damaged.